JD Fitness is a premium Joomla 3.8 template specially designed for Gym, fitness, yoga centers. It comes with inbuilt Hikashop integration which makes it easy to setup an eCommerce website easily. JD Fitness is powered by Astroid framework, developed with cutting-edge technologies like Bootstrap 4, CSS3. HTML5, Smart Slider 3 Pro and, latest Joomla version. It comes with multiple content sections like attractive advanced tabs to show the features of your gym, Before and after section to showcase the transformation case studies, blog, services, testimonials, pricing table and much more. JD Fitness is fully customizable. Each and every aspects of the template can be customized as per your need and requirements. It comes with Header Variations like Boxed and Stacked Mode to choose from. 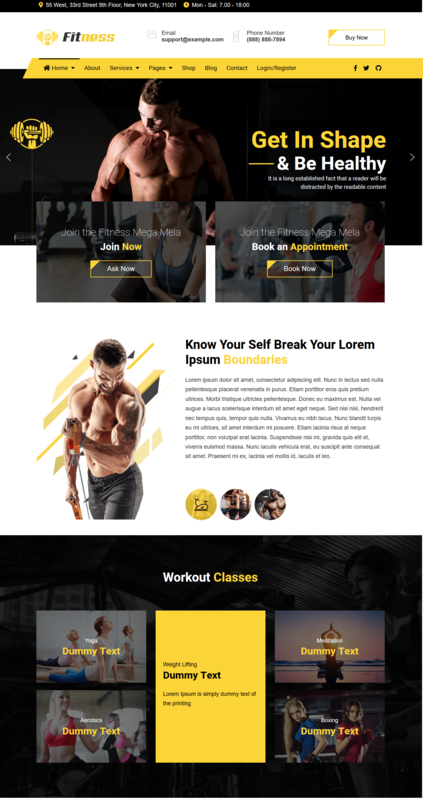 JD Fitness template developed with powerful Astroid framework which extend its flexibility and functionality and has a powerful admin panel from where you can control all the basic settings like logo and preloader to advanced likes layout builder, CSS, JS compression and setting import export at one place. JD Fitness integrates with HikaShop, one of the most popular Joomla ecommerce extension which can help you in making an ecommerce store in as low as 15 minutes. HikaShop extensions provide you an interface to manage everything from products handling to handling languages, currencies, zones and advanced taxes to sell anywhere in the world. Currently, JD Fitness is on sale for $39 at JoomDev. With that, you will get future updates and 6 months support from the theme developers. JoomDev offers a 100% money back guarantee within 7 business days starting from the moment you make your purchase. Beside this, JoomDev provides the world-class support to its customer. Once your payment is complete your account is immediate active, this generally takes less than a minute to occur. 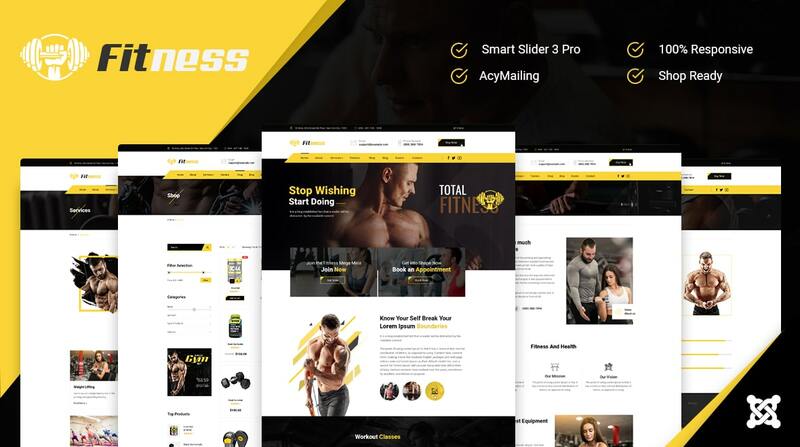 JD Fitness comes packed with quickstart package with demo data installer (Joomla 3.8, recover template, used extensions, demo content – all included). Once you install the quickstart, you’ll have a replica of the live demo. JD Fitness is an enormously creative, tech-savvy and good looking, extremely responsive Joomla website template. This template has been created for people with or without previous website building experience, who need a quick, streamlined solution for setting up beautiful, functional personal or professional homepages and whole websites for a variety of uses and purposes. With the plentiful functionality offered by dozens of custom shortcodes. Combined with a powerful drag and drop page builder. As well as an impressive set of admin panel tools that empower you to command total control over the look and feel of your every page, section and element with total ease and simplicity, requiring absolutely no coding. Let JD Fitness take your business to the next level!